Welcome to this site. Deep Space Thirteen is a Star Core-Class Space Station stationed near the Gorn Hegemony / Tholian Holdfast border, on the fringes of GOLD Fleet's Area of Operations. She also lies near the Goliath Wormhole to Lehrran Alliance space, in an unknown location of the Galaxy. Deep Space Thirteen also serves as the headquarters of the Krima Expeditionary Force in GOLD Fleet. Currently, Deep Space Thirteen is almost fully enhanced with three new modules. All station support ships are in the docks, under maintenance, and crew rotations are being held while JAG investigations have finished. 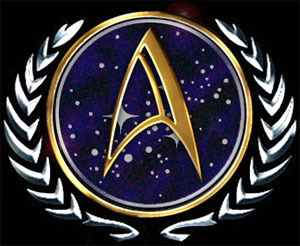 The USS Alabama and her support ships, USS Barcelona and USS Nairobi, will leave the station shortly, carrying Commander Lener Sallan with then to Star Base BETA. If you are interested in more information about DS 13, please contact David Suarez de Lis, who plays Commander S'Tveck PhD, the Commandant of the station. Inquiries regarding role playing opportunities in Gold may be directed to him, or to D'Maris Coffman, who serves as CINCGOLD. This site currently maintained by Scott Freligh, based upon work of David Suarez de Lis' and Scott Lusby's These pages were originally created by Scott Lusby on 18 June 2000 and are based on work developed by Chris Aubrey, Takako Nagumo, D'Maris Coffman, Trevin Sandlin, and Jason Bostjancic.